Salps have higher filtration rates than most other holoplankton, and are capable of packaging and exporting primary production from surface waters. A method of kinematic analysis was employed to accurately measure salp feeding rates. 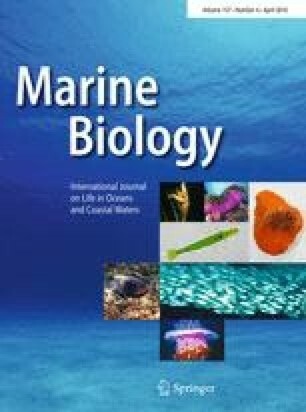 The data were then used to explain how diverse body morphologies and swimming motions among species and lifecycle stages influence salp feeding performance. We selected five species, representing a range of morphologies and swimming styles, and used digitized outlines from video frames to measure body-shape change during a pulse cycle. Time-varying body volume was then calculated from the digitized salp outlines to estimate the amount of fluid passing through the filtering mesh. This non-invasive method produced higher feeding rates than other methods and revealed that body volume, pulse frequency and degree of contraction are important factors for determining volume filtered. Each species possessed a unique combination of these three characteristics that resulted in comparable filtration (range: 0.44–15.33 ml s−1) and normalized filtration rates (range: 0.21–1.27 s−1) across species. The convergence of different species with diverse morphologies on similar normalized filtration suggests a tendency towards a flow optimum. This work was supported by NSF project OCE-0647723. We thank the people who facilitated work at the Liquid Jungle Lab in Panama, including Ellen Bailey and Luis Camilli, and the SCUBA divers that helped with the project, Emily Abbott, Andrew Gray, David Kushner, Dan Martin, and Dave Sutherland. Erik Anderson was an important resource for data analysis and interpretation. Alex Techet and Tony Moss, as well as an anonymous reviewer, provided useful advice and suggestions.